The results from the 2018 Renegade Championship have been posted. See them here. A special shout out of appreciation from Renegade Race Committee Chair and 4LIYC Commodore Don Anderson to the regatta PRO, John Hayashi, for his extra efforts to get the regatta in. 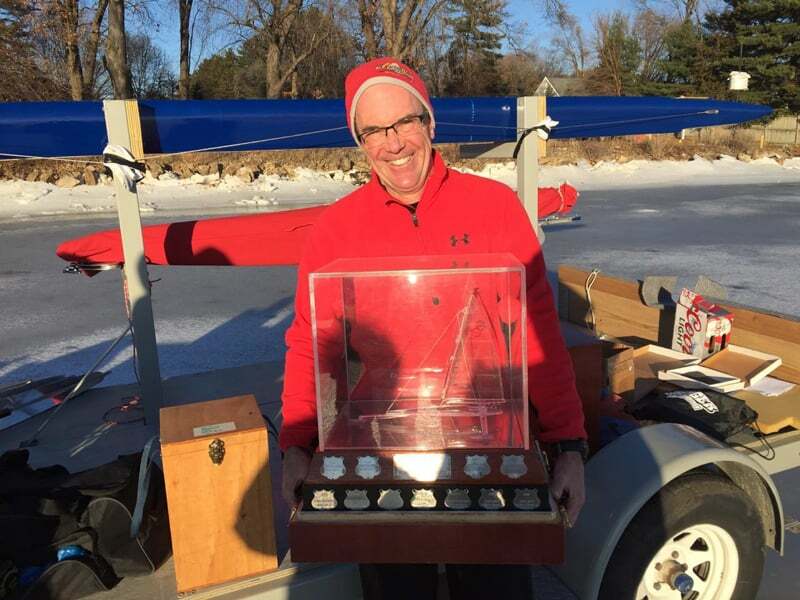 His hours spent checking ice, organizing the race committee, providing equipment, keeping the troops rallied and informed, and his overall positive attitude throughout the regatta in tough conditions were appreciated by all the competitors. The 2018 Renegade regatta is in the books. Saturday was a bust with no racing because the wind never arrived.The day was not wasted though because sailors took advantage of the beautiful day to tune their boats and exchange information. 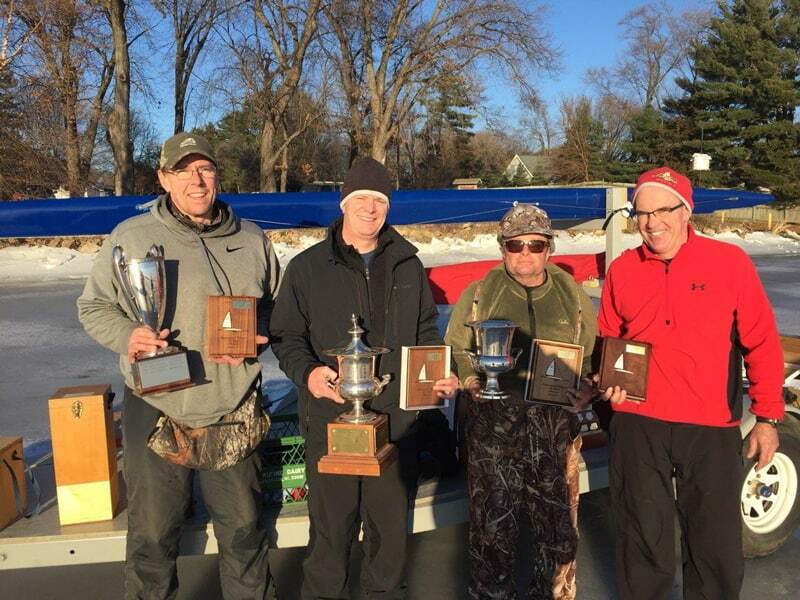 Patience paid off on Sunday when the first race started at 11:12 AM on Lake Puckaway near Green Lake, WI in tricky light air. Three races later, Greg McCormick won the regatta. Stand by for results. George Gerhardt and Tim McCormick were tied for second. The 2018 International Renegade Ice Yacht Racing Association championship regatta has been called ON for Lake Puckaway (near Green Lake, Wisconsin) December 15-16, 2018. This is a 5 race regatta series. 3 races will take place on Saturday and 2 races will take place on Sunday. The lake currently has 9 inches of good ice with a thin film of slush maybe a 1/4 of an inch at most. The lake has now been sailed for about two weeks. The main landing we will be using is at Apucckawa Park off of Toepper Drive. Our races will be run by PRO John Hayashi, with scoring by Maureen Bohleber and Mimi Hayashi. We have assistance with others but welcome any and all help. Banquet at 7:30 Mecan River Outfitters, order off the menu. UPDATE DEC 10: FINAL CONFIRMATION DAY WAS INCORRECT. IT HAS BEEN CORRECTED TO THURSDAY, DECEMBER 13, 2018 BY 1 PM CT. 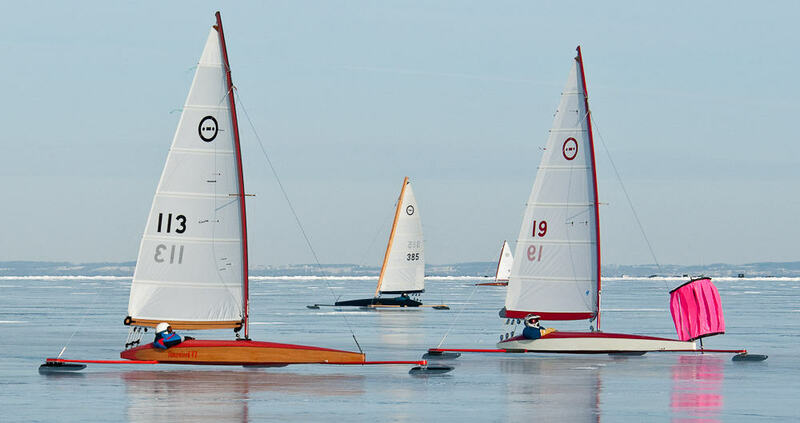 The 2018 Renegade Championship regatta has been tentatively called on for December 15-16, 2018. 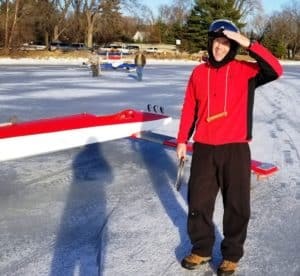 Primary site is Lake Winnebago at Fond du Lac, WI and secondary is Lake Puckaway near Green Lake, WI. Final confirmation will be made on Thursday, December 13, 2018 by 1 PM CT.